Employment law in Belgium is mainly based on international and domestic sources. International sources include the following: international treaties; European law, including case law of the European Court of Justice; and International Labour Organization conventions. Domestic sources of law include the following: the Constitution; legislation, in particular the Act on Employment Contracts (AEC) of 3 July 1978; decrees of the regions and communities; royal and ministerial decrees; collective labour agreements (CLAs); employment contracts; work rules; and custom. Furthermore, case law, in particular that of the Supreme Court and the Constitutional Court, can have considerable influence on the state of the law. When rules deriving from different sources appear to be inconsistent with one another, different sets of rules apply to determine the rule that will prevail. For example, international law prevails over national law whenever it is directly applicable, and inconsistency between national sources is resolved by Article 51 of the Collective Labour Agreements and Joint Committees Act of 5 December 1968, establishing a hierarchical classification for most of these sources. For example, a custom or a verbal individual agreement deviating from a written individual agreement serves no purpose legally. In Belgium, labour courts deal with disputes in relation to employment relationships. Labour courts are independent judicial bodies whose jurisdiction covers all matters relating to labour and social security law. The bench comprises one professional judge and two lay judges, one representing the employers and the other the employees. The procedure is accessible to litigants in person. Litigants may be represented by a member of the Bar. Furthermore, employees may be represented by a member of the trade union to which they belong. Enforcement of labour law provisions may also be initiated by other authorities, including the labour inspectorate or tax and social security authorities. The decisions of the labour courts may be reviewed by a labour court of appeal, which has a composition similar to that of the labour courts. Appeals against decisions by a labour court of appeal that would constitute a violation of the law may be lodged with the Supreme Court. The Programme Act of 27 December 2017 extended the use of 'flexi-jobs' to lots of new sectors (initially, flexi-jobs were only allowed in hotels, restaurants and bars). The system of flexi-jobs makes it fiscally attractive for persons with a principal occupation to have an additional income by having another job.3 With regard to the e-commerce sector, the Programme Act has relaxed the conditions for night work and made Sunday work possible. The Act of 15 January 2018 introduced, inter alia, the possibility for the social inspection services to use the investigation method of 'mystery shopping' to combat discrimination. Under certain strict conditions, the social inspectors can pretend to be applicants, to see whether the employer's actions are discriminatory. The Economic Growth Act of 26 March 2018 changed the notice periods for employment contracts of less than six months. In short, employers will only have to give a notice period of one week instead of two when the employment contract is less than three months old. An unusual obligation introduced in this law is for employers and employees' representatives to talk about company rules on 'disconnectivity' – that is, employees being able and allowed to disconnect from their smartphones and laptops outside work in order to improve their work-life balance. The Economic Growth Act does not make disconnectivity compulsory, but imposes regular talks on the subject, which can lead to internal rules or collective agreements being implemented. A last point of interest in the Economic Growth Act is the prohibition for sectors to ban the use of temporary agency work. With the Act of 30 April 2018, the legislature installed a system whereby an employee who has a company car as part of his or her salary package (which he or she may also use privately) can exchange that car for a monetary mobility allowance, which corresponds to the financial advantage of the car and that is taxed in the same favourable way. The government is further looking to introduce a more general scheme – the Mobility Budget – with more eco-friendly transport options. Further, the Act of 9 May 2018 has implemented the EU Single Permit Directive 2009/52, which obliges the Member States to use a single application procedure to establish the issuance of a single permit for residence and work to non-EU nationals. Another major change was the General Data Protection Regulation (GDPR) coming into force on 25 May 2018, which introduced new privacy rules for EU Member States. The Regulation was partly implemented in Belgium by two acts: the Act of 3 December 2017, which introduced the new Supervisory Authority (to replace the Privacy Commission); and the Act of 30 July 2018, which specified some rules of the GDPR (mostly regarding exceptions for government data). The Act of 18 July 2018 created a tax threshold of €6,130, under which employees can have an additional income from jobs in the gig economy (through digital platforms), from work for non-commercial associations and from citizen-to-citizen work (small non-professional jobs for other citizens). For this additional income, no income tax or social security contributions are required. The Acts of 2 and 6 September 2018 expanded the possibilities to make use of parental leave and other thematic leave, and extended the leave for parents adopting or fostering. Finally, the Act of 14 October 2018 makes it possible to include schooling clauses in the employment contracts of lower-paid employees in bottleneck professions. Previously, this type of clause, which renders it possible to reclaim the training costs if the employee leaves the company before a certain term, was only allowed in the contracts of highly paid employees. In a judgment of 12 January 2018, the Labour Court of Appeal of Brussels ruled that the intentional infliction of injury to a co-worker or a superior does not necessarily constitute an urgent reason to dismiss an employee (without notice or compensation). It is possible that the facts do not make the professional cooperation between the employer and the employee immediately and definitively impossible. On 20 February 2018, the Labour Court of Appeal of Brussels condemned an employer on the basis of discrimination on the ground of disability, because he had made no serious efforts to reintegrate an employee who had been absent for a long period because of cancer. On 22 February 2018, the Constitutional Court considered that the fact that the Act on the Motivation of Administrative Decisions does not oblige a public sector employer to hold a hearing with a contractual employee before his or her dismissal constitutes discrimination, as the employer is only legally obliged to hold a hearing for a statutory employee, even though contractual and statutory public sector employees are in a similar situation. However, in a judgment of 5 July 2018, the Constitutional Court ruled that the same reasoning cannot be applied to the obligation for the government (public sector employers) to motivate their (dismissal) decisions. This obligation is only applicable when a statutory employee is involved (and therefore does not apply to contractual employees), and this difference can be justified by the fact that statutory employees only have a short time to appeal the decision at the Council of State, while contractual employees have one year to file a claim at the Labour Court. The Constitutional Court concluded that judges should apply their own system to decide whether the dismissal was not reasonable. Such a system can be based on the private sector system of CBA No. 109. In a judgment of 12 March 2018, the Supreme Court ruled that employers and employees should, in all circumstances, be able to appeal against the decision of a sectoral joint committee regarding the lifting of the protected status of worker representatives. This appeal will be handled by the Labour Court, which will have the full judicial power to control the existence of the economic or technological reasons, on which basis a protected employee can be dismissed. The Labour Court of Appeal of Antwerp referred to the European Court of Justice Tyco case in a judgment of 17 April 2018,4 to clarify that for mobile workers without a fixed work place, the travel time between their home and the first place of work (first customer) as well as the travel time between the last place of work and their home, constitutes work time. On 7 June 2018, the Constitutional Court ruled that the fact that special dismissal protection only exists for prevention advisers (health and safety officers) in case of an individual dismissal and not in the case of a collective dismissal does not constitute a discrimination, as the dismissal protection is meant to guarantee the independence of the prevention adviser (which is normally not affected by a collective dismissal). In another judgment of 7 June 2018, the Constitutional Court dismissed a discrimination claim that raised the issue that employers have to pay substantially higher compensation than any other (legal) person if they are found guilty of discrimination. The Court ruled that the higher compensation was based on objective criteria. Finally, the Constitutional Court indicated in its judgment of 18 October 2018 that the former beneficial clauses concerning the notice periods of highly paid employees were still valid for the calculation of notice periods based on the seniority of the employee before the introduction of the new system in 2014.
employment contracts concluded with a student (Article 123 AEC). For some of these exceptions, the contract must be signed before employees actually commence work. Sanctions range from nullity (e.g., for a non-compete clause) to the legal presumption that the contract has been concluded for an indefinite period (fixed-term employment contracts or those for a specific project). Parties can amend the employment contract orally. The law does not impose the presence of a written agreement. The agreed conditions or stipulations of the labour contract cannot be changed unilaterally. However, parties can specify that the employer has the right to change the job function or the working location unilaterally. Without prejudice to the above-mentioned stipulations, the law does not, in principle, impose the presence of particular clauses in the employment contract. The imperative legal and regulatory conditions, as well as the CLAs in general, are, however, deemed to form an integral part of the employment contract and no clause may validly depart from this. With regard to the work rules, these must contain certain clauses, particularly with respect to the duration and hours of employment, reprehensible behaviour and associated disciplinary sanctions, the method and period for payment of remuneration, and terms and conditions for the allocation of annual leave. These clauses are also deemed to form an integral part of the employment contract, except in cases of individual written exceptions. Employment contracts concluded for a definite period of time, or for a specific project, must give precise indications of the definite period, the specified work (i.e., the job performed) or mention that the contract is for the replacement of an employee (who is identified in the contract). Part-time contracts must state the system and hours of part-time work agreed upon if it is a fixed work schedule, but for flexible work schedules, the contract must only refer to the provisions of the work rules pertaining thereto. In the absence of a written document containing these specifications, the employee may choose the system and hours of part-time work most favourable to him or her, among those provided for in the work rules or in any other company document. When it is in written form, a contract of employment must be worded either in French, Dutch or German. The rule about which language is applicable depends on the location of the employer's operational headquarters (see Section IX). Every company that employs workers in Belgium must be registered with the Belgian National Office for Social Security (NOSS). This registration is automatically done by the immediate declaration of employment via the Dimona system. This declaration must be made through the NOSS website.5 For certain specific activities, such as temporary work, an agreement must be obtained. Social security contributions of employees are withheld at source and paid by the employer to the mutual insurance organisations responsible for administering the social security system. The employer is also required to deduct taxes monthly. Non-Belgian employers who wish to employ someone in Belgium must declare these activities in advance, using the mandatory International Migration Information System (Limosa) declaration.6 In certain cases the foreign employer must apply for an employment authorisation for its activities in Belgium and its employees must have a Belgian work permit. This obligation is applicable to service provision in the form of temporary employment business work, provision of labour, exchange between related companies and the execution of (sub)contracting agreements. If a foreign employer employs Belgian residents in Belgium, this foreign employer will be deemed as having a Belgian establishment. In this respect the foreign employer must comply with various tax formalities. It must make the professional income tax deductions, file special individual forms7 as well as a summary form8 to report the salaries paid to its Belgian employees. As long as Belgian employees carry out operations subject to Belgian value added tax (VAT), the foreign employer will have to register with the Belgian VAT authorities. In this respect, monthly or quarterly VAT returns should be filed. Non-compete clauses can be executed during or after employment. Non-compete clauses must be in writing and are valid if the employee's annual gross remuneration exceeds €34,819. There are also restrictions on their applicability if the annual gross remuneration does not exceed €69,639 (these amounts, applicable for 2019, are updated annually). In general, a non-compete clause is valid if it is limited to activities similar to those presently performed by the employee and to a well-defined geographical area limited to the national territory, if the new employer is a competitor, and provided the clause does not exceed 12 months. Except for sales representatives, the clause must provide for the payment of an indemnity to the employee equal to at least 50 per cent of the salary corresponding to the duration of the non-compete provision. The clause is not applicable if the employer terminates the contract with a notice period or an indemnity in lieu of notice or if the employee puts an end to the agreement on the basis of a serious breach committed by the employer. Specific rules apply to international companies. Provided that some specific requirements are met, various departures from the conditions of the general non-compete clause may be made, which means it is a special non-compete clause. This clause may only be used for certain categories of enterprises and for white-collar employees (except sales representatives) with specific functions. they must have their own research departments. In such enterprises, the special non-compete clause may be applied only to those employees whose work allows them to directly or indirectly acquire a practice or knowledge peculiar to the enterprise, the use of which outside the enterprise could be prejudicial to it. If these conditions are met, it is possible to deviate from the general non-competition clause on the points of limitation to the national territory and the maximum period of 12 months. The special non-compete clause may also be applicable when the employment contract is terminated by the employer without just cause after six months from the beginning of the contract and if the contract is terminated during the same six months. Since 2014 it is prohibited to include probationary periods in the employment contract, except in the case of agency work and student work. Working time means the time during which a employee is available to the employer (in other words, the time during which he or she is under an employer's authority) and that the employee cannot use freely as he or she sees fit. Accordingly, working time may be more extensive than the periods during which work is actually performed (e.g., on-call period during on-call duty). Working time may not exceed eight hours a day. Moreover, daily work must, in principle, be performed between 6am and 8pm because of the ban on night work. 10 hours if the employee is absent from home for more than 14 hours a day because of the distance between the workplace and his or her place of residence or temporary accommodation. Except for derogations (laid down by royal decree or collective agreement), the length of each work session must exceed three hours. In Belgium, working time may not exceed 40 hours a week. On 1 January 2003 a rule was introduced under which working time was generally reduced to 38 hours a week. Under this general reduction to 38 hours, the weekly work schedule that can be applied in undertakings is either 38 effective hours a week, or 38 hours on average over a specified reference period that allows employers to maintain a 40-hour-a-week work schedule by granting compensatory days off. In principle, night work is prohibited. Night work means any work performed between 8pm and 6am. This rule applies without distinction between male and female employees. There are a number of derogations from this principle relating to industrial sectors, particular activities or particular employees. A number of derogations are provided for by law concerning cases in which night work is regarded as normal or inherent in the activity pursued (e.g., the transport sector, energy distribution companies, hospitals, the catering sector (hotels, restaurants, off-licences), surveillance activities and particular cases of force majeure). Night work may also be permitted by royal decree in particular industrial sectors, undertakings, occupations, or for the execution of particular types of work. prior authorisation by the trade union representative and the district inspector or head of the General Directorate for Supervision of Social Legislation (in the absence of a trade union representative, authorisation by the inspector or head of district suffices) in case of exceptional increase of work (maximum 11 hours a day and 50 hours a week). with the prior agreement of the trade union representative (or a posteriori information to the representative) and notification of the inspector or head of district for work necessary because of unforeseen circumstances (maximum 11 hours per day and 50 hours per week). The normal working time limits may also be exceeded for stock-taking (maximum 11 hours per day and 50 hours per week). This derogation may be used only in respect of work effectively carried out for a period of seven days per employee and per calendar year. In most cases in which the normal limits on working time may be exceeded, compensatory rest periods must be granted to ensure that the normal weekly working time (38 hours or that determined by collective agreement) is complied with over a reference period. In principle, this reference period is three months (one-quarter). It may, however, be increased to one year by royal decree, a collective agreement or, in the absence of a royal decree or collective agreement applicable to the undertaking, by the undertaking's terms and conditions of employment. work to deal with the threat of an accident or an accident that has occurred or urgent repairs to machinery or equipment by employees of a third party. Apart from the rules concerning the granting of compensatory rest periods, particular instances in which the normal working time limits are exceeded also give rise to overtime payment as a supplement to the normal wage or salary. All work done in excess of the limits of nine hours a day and 40 hours a week (or lower limits determined by a collective agreement involving an effective reduction of daily or weekly length of working time) give rise to entitlement to overtime payment. The rate of overtime payment is 50 per cent extra for hours worked during the week, including on Saturdays, and 100 per cent extra for hours worked on Sundays or public holidays. Overtime payments must be calculated on the basis of ordinary remuneration (i.e., the average hourly wage that should be paid for the day or week when the employee did overtime). work on stocktaking and preparing balance sheets. The Act of 5 March 2017 introduces a system of voluntary overtime hours. The employee may ask his or her employer to work a maximum of 100 overtime hours on top of his or her ordinary hours with a view to complete his or her remuneration. A written agreement is needed prior to commencing voluntary overtime. This agreement is valid for six months and may be renewed. However, the limits of 11 hours a day and 50 hours a week cannot be exceeded. Voluntary overtime hours may be accomplished without any specific procedure or particular reason for doing so. There is a general obligation to notify the Belgian authorities of foreign employed or self-employed persons. Some categories of persons are, however, exempt from this notification because of the nature or short duration of the activities carried out in Belgium (artists, international transport sector employees, diplomats, participants in scientific conferences, etc.). Belgian law requires, with a number of exceptions, every employer to draw up terms and conditions of employment and to maintain a staff register. If posting a employee to Belgium, an employer who has served a Limosa notification or who enjoys dispensation in this regard, is exempt from the obligation to draw up and maintain social documents, such as a staff register, for six months. As the terms and conditions of employment contain particular information (schedules of working hours, the method of wage and salary payment, etc. ), it constitutes a basic document against which it is verified whether certain fundamental rules of labour law are being applied correctly (working time, rest time, etc.). It is also an important instrument for the employer to detail a number of special obligations for their employees. Through the staff register, an employee can be lawfully listed. In principle, nationals from an EEA country may be hired without specific restrictions, while other foreigners need to obtain a work permit. Exceptions do exist, however. For example, Belgium-based headquarters of Belgian or foreign companies are not required to obtain work permits for non-EEA citizens employed in a managerial position (e.g., project managers, leaders of research and development teams, planning engineers, chief executive officers, chief financial officers) provided well-defined conditions are met. In general, foreign employees are subject to the majority of the rules that apply to Belgian employees. Moreover, the majority of social law stipulations subject to penal sanctions are also applicable to employees temporarily posted to Belgium. Work rules must be established in every enterprise, even if there is only one employee present. The works council is competent to draft and amend the work rules and to take all steps required for informing the employees thereof. If there is no works council, the trade union representatives or the employees must approve the rules. The Act of 8 April 1965 lays down the procedure to be followed. If there is no works council, proposals for the establishment of work rules must be made by the employer, who must bring such proposals to the attention of the employees by posting notices. The work rules must contain the offences and their related sanctions and the possibilities of redress open to employees who wish to object to the sanctions. All sanctions (fines, suspension, etc.) applied must be specified in the work rules. The first working day after becoming aware of the infringement, the employer or its representative must communicate the sanctions to the employee. The employee's name, the date, justification and sanction have to be registered. Although work rules are binding on employer and employees, they can be derogated from in an individual contract of employment. Work rules are only binding on individual employees when they have received a copy from their employer, even if they were informed through different channels. Belgian law generally prohibits direct and indirect discrimination. Equal treatment is the subject of an Act of 10 May 2007, combating discrimination based on gender. Discrimination on the basis of gender is forbidden, as well as on the basis of pregnancy, birth, maternity or change of gender. Two other Acts of 10 May 2007 concern the prohibition of certain forms of discrimination, racism and xenophobia. The first Act aims at creating a general framework for prevention of discrimination on the grounds of age, sexual orientation, civil status, birth, finances, religion or belief, political opinions, language, present or future health, disability, physical or genetic characteristics, or social origin. This Act applies to all individuals in both the public and private sectors, including in relation to employment issues. Chapter V bis of the Act of 4 August 1996 contains measures aimed at preventing harassment and violence at work as well as a procedure for handling harassment and violence claims, and punishing harassment or violent misconduct in the workplace. Belgium is a multilingual federal state made up of regions (Brussels, Flanders and Wallonia) and communities (French, Flemish9 and German-speaking). The language for 'social relations' between employers and employees, as well as for company documents prescribed by law, varies from one linguistic region to another. The rules that apply depend on the location of the employer's operational headquarters. If this is in Flanders, the language used must be Dutch.10 If it is in Wallonia, it must be French.11 If it is in the German-speaking community, it must be German.12 If it is in the bilingual Brussels region, either French or Dutch may be used, depending on the language of the employee.13 The employer may add a translation into one or more languages. In Flanders and Wallonia, these language requirements also apply to any other official written documents and oral communications. If they are not observed, the documents and communications concerned are deemed null and void. In the Brussels region and in the German-speaking community, the above-mentioned language rule applies to any official written documents, but not to oral communications. Failure to use the correct language does not have any direct consequences as long as the employer issues a new document to replace the incorrect one: the replacement applies ab initio. Given the broad interpretation of social relations by Belgian courts, all documents containing instructions, communications and specific information for the employees should be drafted in the correct language. In a judgment of 16 April 2013,14 the European Court of Justice has ruled that EU law must be interpreted as precluding legislation of a federated entity of a Member State, such as that applicable in Flanders, which requires all employers whose established place of business is located in that entity's territory to draft cross-border employment contracts exclusively in the official language of that federated entity, failing which the contracts are to be declared null and void by the national courts of their own motion. The Flemish Decree on the use of languages in social relations has been modified with a view to ensuring compliance with that ruling. It now provides that a version having legal force may be established for employment contracts in one of the languages of the EU understood by all the parties concerned in cases where the employee may claim free movement rights on the basis of EU law or of any other international or supranational treaty. In case of conflict with the Dutch version, the Dutch version of the contract will prevail. In terms of content, works councils are competent at the technical, economic and social level. Works councils must be set up in the private sector. Works council elections have to be held in enterprises (i.e., technical operating units) employing at least 100 employees. These elections are held every four years by the employer (head of the enterprise), who is statutorily obliged to do so. Electoral guidelines are regulated by royal decree, largely along established lines. The works council meets at least once a month at the request of the head of the enterprise or at least one-third of its members. The premises and supplies required for meetings shall be made available by the employer, and the employer must also give the representatives the necessary time off – with pay – and facilities to enable them to perform their task as well as possible. Under certain conditions, the representatives are entitled to participate in labour education programmes during working time, while retaining their pay. Workers' representatives and the non-elected candidates enjoy special protection against dismissal. At the company level, there are three representative bodies: the works council; the committee for prevention and protection in the workplace; and the staff representatives' delegation. The committee for prevention and protection in the workplace should be installed in enterprises employing at least 50 employees and is mostly responsible for the prevention and security policy. The members of the works councils and the committees are elected by all staff members (even if they are not part of a trade union) from electoral lists presented by the three most important trade unions. If there are more than 15 employees with higher qualifications (e.g., a master's degree) who are employed in managerial positions (known as cadres), a separate representation is provided for them in the works council. As far as the nominations for the candidates are concerned, the monopoly of the traditional representative trade unions is no longer in place. Nominations can now be made by the traditional representative trade unions, the representative unions of cadres, or by 10 per cent of the cadres in the enterprise, thus allowing for independent candidates. The protection of personal data concerning employees is regulated by, among others, the GDPR. The GDPR lays down certain conditions that have to be met when an employer wants to collect or process personal data. The processing of data is only allowed for legitimate purposes, like the good execution of the employment contract, internal communication or the processing of data in connection with recruitment practices. The processing of data is also allowed with the voluntary authorisation of the employee. The employer will have to keep a register of processing operations, which will include the following information on personal data: the purpose of processing the data; what data is being processed and the person to whom it belongs; who receives the data, including those outside the European Union; how long the employer keeps the data; and how the employer protects the data. The employer must, in certain cases, also appoint a data protection officer, who will supervise compliance with the GDPR. There are also means for the employees to control the processed data and, if necessary, ask the correction of incorrect data. Since 1 April 2014, all employees have the right to know the concrete reasons that have led to their dismissal. Previously, except in certain situations, only blue-collar employees and employees dismissed for serious wrongdoing enjoyed that right. Employees may also seek damages if they consider that they have been dismissed on manifestly unreasonable grounds. In practice, the grounds for termination will often be stated in the document that employers submit to the National Employment Office. This document is at the same time communicated to the employee so that he or she may claim unemployment benefits. Normally, there are no notification and consultation procedures unless there is a collective dismissal or plant closure, or if a collective bargaining agreement provides for a specific procedure. Offers of suitable alternative employment are not required. The termination of an employment contract is always definitive. The only remedy is financial compensation. There is no possibility for obligatory reinstatement of the employee. Certain categories of employees are statutorily protected against dismissal, such as members and candidates of the works council, members of a trade union delegation, pregnant employees and employees on maternity or parental leave. Employment contracts concluded for an indefinite period may only be terminated by one of the parties through prior notification of a notice period. Termination for serious reason constitutes, in principle, the only permissible circumstance for unilateral termination without prior notice. In practice, however, it is possible for either of the parties to terminate the contract without prior notice, provided compensation is paid. Since 1 January 2014, notice periods are the same for all employees in all sectors subject to exceptions. It is not clear whether the employer and employee are able to agree on a notice period different from that contained in the AEC, but there is no provision in the AEC that would suggest that it is prohibited, as long the different provision is favourable to employees. Where multiple redundancies qualify as a collective dismissal, the legislation on collective dismissals applies and possibly the legislation regarding the closure of enterprises. A collective dismissal triggers the prior information and consultation obligations towards the employees (either through the works council or, if there is none, the union delegation, or, failing this, the employees in person). The intention to proceed with collective dismissal must also be communicated to the competent administration (the director of the subregional employment office). In principle, a collective dismissal gives rise to the payment of a special monthly compensation in addition to any indemnity due in lieu of notice. In the majority of cases, employers and trade union organisations establish a social plan granting additional compensation to the workers concerned and other measures with a view towards reducing the consequences of collective dismissal (e.g., early retirement schemes). Note that the concept of collective dismissal varies according to whether consideration is given to the right of employees to prior information and consultation, or to the right of employees to receive compensation. In some sectors there will also be specific obligations for employers if the multiple redundancies do not meet the thresholds of the national legislation. Under Belgian law, the consequences for employees of a transfer of an undertaking or a part thereof are governed by the Collective Labour Agreement No. 32 bis of 7 June 1985 (CLA 32 bis), which transposed into Belgian law EU Council Directive 77/178/EC of 14 February 1977 (replaced by the EU Council Directive 2001/23). Under Belgian law, an employer who intends to amend the structure of the company (merger, concentration, takeover, closure or other important structural amendments negotiated by the company) has an obligation to inform and consult the employees' representatives (i.e., the representatives in the works council, the committee for prevention and protection in the workplace or the trade union delegation) or the employees directly about such a project. Such information and consultation should take place before the decision on the planned change in structure. The employees' representatives must be consulted, in advance, in particular with regard to the repercussions on the employment prospects for the personnel, the work organisation, and the employment policy in general. Failure to comply with this obligation would render the employer liable to criminal sanctions (a fine of between €400 and €34,000 to be multiplied by the number of employees employed within the company, up to a maximum of €400,000), in accordance with Article 196 of the Penal Social Code. In the event of a transfer within the meaning of CLA 32 bis, the rights and obligations of the transferring employer arising from the employment contracts existing on the date of transfer are automatically transferred to the new employer (transferee). In some sectors, the transfer of the contracts is quasi-automatic (i.e., it is always deemed to fall under CLA 32 bis) – for example, in the cleaning and security sectors – which makes it impossible to dismiss the employees. The transferee automatically takes over all rights and obligations of the transferring employer, without any specific formalities having to be complied with. Only for old age, health-related or survivor's benefits under complementary company or inter-company schemes, does CLA 32 bis not provide for an automatic transfer. After the date when the transfer takes effect, the transferee must respect all individual and collective employment agreements under the same conditions as the transferring employer. It follows that all essential employment conditions (including remuneration, job status, acquired seniority, place of performance and working conditions) should remain unaffected; the new employer may not modify them unilaterally after the transfer date. After the date when the transfer takes effect, the transferee becomes solely liable for all debts resulting from the transferred employment contracts, including payment of indemnities in the event of dismissal of any of the transferred employees. For debts already existing at the date of transfer (e.g., salary arrears), the transferor and the transferee will both be liable (in solidum). Pursuant to CLA 32 bis, it is prohibited to dismiss employees on the grounds of the transfer of the undertaking within which they are employed. This prohibition applies to both the transferor and the transferee. Moreover, it concerns not only the dismissal concomitant to the transfer, but also any dismissal occurring a short time before or after the transfer. Failure to comply with this obligation would render the employer liable to an administrative penalty consisting of a fine of between €80 and €800 multiplied by the number of employees affected up to a limit of €80,000. In addition to these administrative sanctions, any employee illegally dismissed by the transferor will have the possibility to introduce a court procedure against both the transferor and the transferee in order to obtain the payment of a termination indemnity or damages (the illegality of the dismissal does not have as a consequence that the dismissal would be considered null and void). Case law generally sets the amount of the damages between €500 and €10,000. CLA 32 bis provides for some derogations to the prohibition against dismissal. They concern, on the one hand, some categories of employees (such as employees nearing the retirement age and students) and, on the other hand, some reasons to dismiss. This second kind of derogation relates to the dismissal for serious reasons and to dismissals based on technical, economic or organisational reasons implying changes in employment within the undertaking. If an employee is dismissed without any of these reasons being present before the moment of transfer, then according to the case law of the European Court of Justice, this employee must still be considered as an employee of the enterprise, meaning that his or her employment contract will have to be regarded as legally transferable to the transferee. 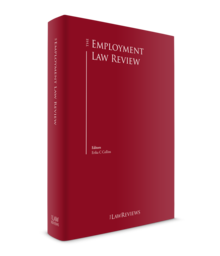 If in the end, the transfer results in a significant change of the working conditions to the detriment of the employee, the employment contract will be considered to be breached by acts on part of the employer (constructive dismissal). These protection rules apply in the event of a transfer of enterprise by virtue of an agreement. When the transfer occurred within the framework of a legal composition procedure, CLA 32 bis provided for some exceptions to these rules. As a result of the Act of 31 January 2009 concerning the continuance of undertaking, the legal composition procedure has been replaced by a new procedure. Article 61 of this Act regulates the position of the employees in the event of a transfer of enterprise under judicial authority. The regulation applied here means that the protection rules are defined less stringently so that the transferee has more flexibility. For example, it is easier for a transferee to change the collective and individual working conditions, and he or she is no longer obliged to take over all employment contracts. Belgium is currently implementing the EU Single Permit Directive for employing foreign employees. The government concluded a cooperation agreement on 2 February 2018 with the regional entities, and the government and the regions have published several executive decrees. The new procedure entered into force on 24 December 2018. The government is also pushing for the introduction of a Mobility Budget (in addition to the current mobility allowance) in order to replace company cars. Further, there is a draft royal decree to install a procedure for actions of positive discrimination in companies to, among other things, increase the number of female workers in management and increase the recruitment of disadvantaged persons. The government is expected to finalise the different elements of the 'Jobs Deal' of summer 2018 (a political programme consisting of various measures to be taken relating to employment), but with the collapse of the federal government at the end of 2018 and the elections in May 2019, it is very uncertain if new legislation can still be approved by Parliament. 1 Chris Van Olmen is the founding partner of Van Olmen & Wynant. 2 Act of 6 June 2010 introducing the Penal Social Code. 3 A person with a principal occupation is defined as someone who works at least four days out of five in a normal working week. 7 For example, Form 281.10. 8 For example, Form 325.10 for employees. 9 It is the Flemish Community, but Flemish is not a language. The language of Flanders is Dutch. 10 Decree of 19 July 1973. 11 Decree of 30 June 1982. 12 Laws on the use of languages coordinated by Royal Decree of 18 July 1966. 15 Act of 28 January 2003. 16 See Article 9 GDPR and Article 9 Act of 30 July 2018.